Who is shaping what your kids believe? In these busy, hectic days we take our kids to sports practices, games, music lessons, school tutoring and other activities to give our children the best opportunities for success. But what if we're missing the chance to teach them what matters most? Our children can grow up smart, athletic, popular and polite but lack a vibrant relationship with Christ. The few hours they spend in church each week can be helpful, but it cannot nurture a faith in our kids that will withstand the trials that are on the horizon. Church alone cannot teach them, we must start at home. But many parents feel ill equipped to develop the faith of their children. In these six sessions, we will explore biblical and tangible ways that parents—couples, single parents, blended families and grandparents—can build a legacy of faith for their children. 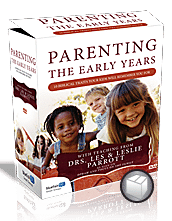 Each session includes interviews with everyday parents talking about their own doubts, fears and desires. Gary Thomas, Matt Chandler, and Kurt and Olivia Bruner provide powerful teaching that will help you give your kids what they need to build a solid framework for lifelong faith. Trials Build Deeper Trust - Matt Chandler, Lead Pastor of The Village Church near Dallas, and his wife, Lauren, share how the Lord has expanded their faith and caused them to live more intentionally with the discovery of Matt’s malignant brain tumor. Upstairs/Downstairs - This family night activity helps children understand that God did for us what we could not do for ourselves. Viewmaster - In this moving illustration, a boy’s magic viewfinder helps him see pivotal moments in his family’s past. 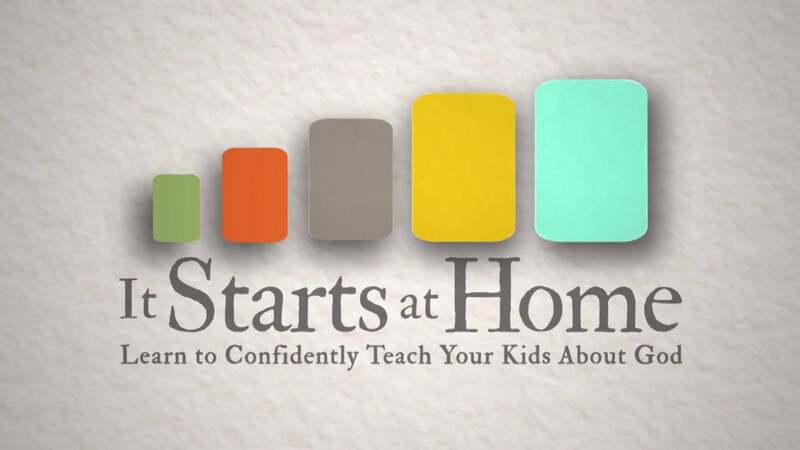 This clip will encourage parents to be intentional about raising their children. A downloadable Leader's Guide will be available for purchase. Group handouts will be made available online for free. Visit www.ItStartsAtHome.org for more parenting resources and tools. Gary Thomas is a best-selling author and international speaker whose titles include, Pure Pleasure, Sacred Parenting, Sacred Influence and Devotions for Sacred Parenting. Gary has also brought thousands of married couples closer together through his popular Sacred Marriage seminars. Matt Chandler serves as Lead Pastor of The Village Church in Highland Village, Texas. Matt is a sought after teacher and speaker at conferences. Alongside his current role as lead pastor, Matt is involved in church planting efforts both locally and internationally through The Village and various strategic partnerships. Kurt and Olivia Bruner co-founded Heritage Builders to provide practical tools to parents to give the next generation a strong legacy. Kurt serves as Pastor of Spiritual Formation at Lake Pointe Church and is the author of books including It Starts At Home and the best-selling Family Night Tool Chest series. Olivia is the author of The Minivan Years and speaks to moms about the hectic joys of parenthood. A four-part video Bible study on overcoming the struggles and misconceptions about marriage. Matt Chandler serves as Lead Pastor of Teaching at The Village Church in the Dallas-Fort Worth area. Under his leadership since 2002, the church has grown from 160 to over 11,000 members across five campuses. Alongside his current role as lead pastor, Matt is involved in church planting efforts both locally and internationally through The Village and various strategic partnerships. Matt also serves as the President of Acts 29, a worldwide church-planting organization. He is a frequent conference speaker and the author of several books including Creature of the Word, The Explicit Gospel and The Mingling of Souls. Matt and his wife, Lauren, have three children.